Let’s state the obvious: Social media marketing and content marketing go hand in hand. 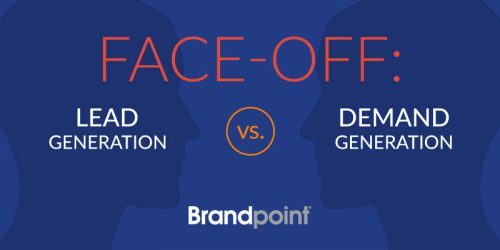 While each can function on their own, cultivating a purposeful relationship between the two can drive impressive results — something many marketers have caught on to. In fact, as many as 87 percent of marketers cite social media as the most common content marketing delivery mechanism. Although it’s clear marketers understand the value of social media, implementing a successful strategy continues to be a struggle. If you feel like your team is going through the motions and failing to see results, continue reading. 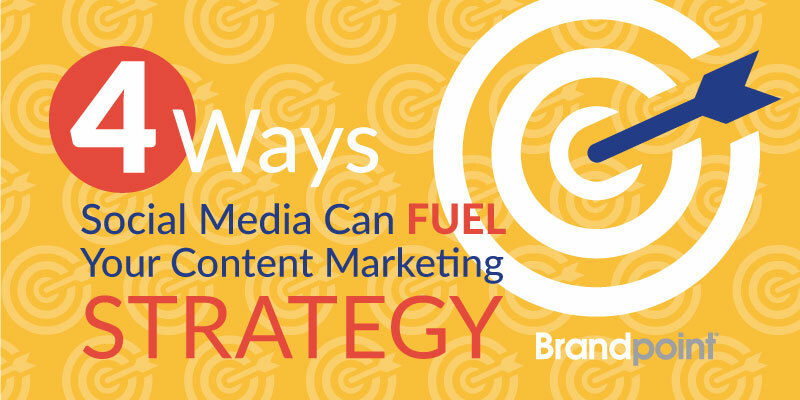 Today we’ll teach you four ways to fuel your content marketing strategy using social media. It’s time to stop viewing social media solely as a content delivery channel. Content marketing success hinges on your ability to create valuable content that resonates with your target audience. You can’t do this without detailed insight into who your prospects are, what matters to them and what type of content impacts their buying decisions. Whether you realize it or not, your social media presence houses valuable data and feedback that — if applied correctly — can completely transform your content marketing strategy. Leverage the power of social listening to gather this information. Really try to understand what your prospects and customers are saying online and tailor your content to address their needs. 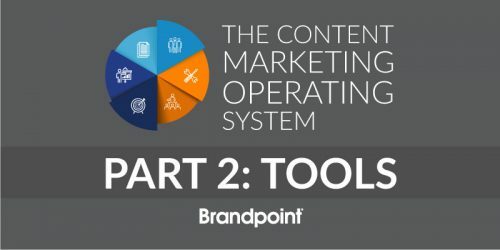 For many B2B marketing teams, content marketing is a game of trial and error. Success often relies on a continuous cycle of self-improvement. With social media, you can remove some of the guesswork. Social media allows for instantaneous feedback — more so than most other channels. Take email marketing, for example: Your marketing automation tool knows your prospect downloaded an e-book you sent them, but how do you know if they like it, or if they even read it, for that matter? A quick look at your follower’s reactions and interactions will give you a deeper understanding of how well your content performed. Use this feedback to make calculated, data-driven improvements to your campaigns. Your can spend hours developing top-notch content for your blog or company website, but if you don’t have avid readers, your efforts will reap little return. Ultimately, if you want your content to produce results, people have to see it. 92 percent of marketers say social media efforts have generated more exposure for their businesses. 80 percent of marketers say social media efforts increased website traffic. With the power of social media, your content can reach prospects who may never hear of your brand otherwise. And, if your content is good, these users will be inclined to share with others. With just a few clicks, your content has reached an exponentially larger audience — increasing brand awareness, organic traffic and referrals back to your website. To learn how to cultivate a traffic-generating social media presence, check out this blog post on how to use social media for B2B lead generation. Three words: user-generated content. The people who follow and engage with your social media profiles are smart and, bonus, they’re already interested in your company. Use their photographs, reviews and opinions to create brand-new content. Think interviews, testimonials, product demonstrations … The list is endless. Encourage followers to use one dedicated hashtag and then monitor it closely. Check out your location page on Instagram and Facebook. Set up Google alerts for your company name. Invest in a social listening platform. User-generated content is especially effective because it’s not coming from the brand itself. Prospects are more likely to trust content from those who have already tried your products or services. Plus, user-generated content takes minimal time and effort, as it’s already been created. Just remember to ask permission and include links back to original content. Your prospects and customers will be excited to have their content shared. In our tech-driven marketing landscape, social media reigns supreme. If you’re not using social media to inform your content marketing strategy, you’re missing out on valuable insights and potential customers. Use these four strategies to take your content to the next level. Contributed by Krysta Williams, Marketing Content Specialist at ZoomInfo. ZoomInfo offers the most accurate and actionable market intelligence to help organizations accelerate growth and profitability. The continuously updated database enables sales and marketing teams to execute more effective marketing campaigns and improve sales prospecting efforts. Visit zoominfo.com for more information.